After decades of vacancy, the former Federal Post Office located at 122 East 2nd Street in Ottawa, Kansas, is undergoing a major renovation to bring new opportunities and lasting memories for the community. 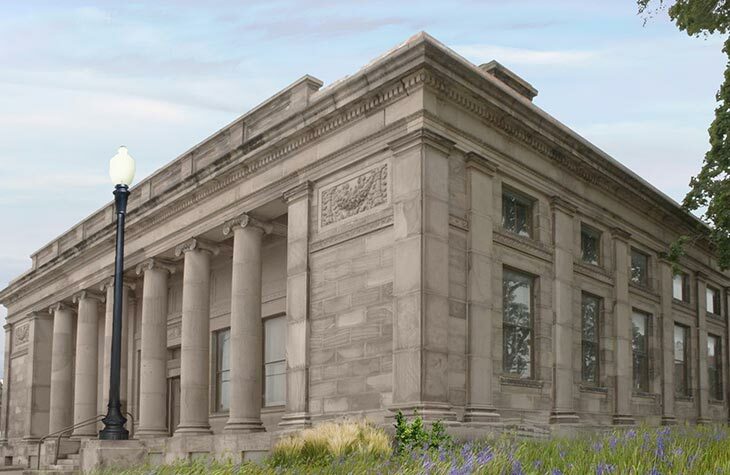 The 104-year-old limestone landmark developed by Oscar Wenderoth, Supervising Architect, and William G. McAdoo, Secretary of the Treasury, will become a new event space known as The Historic Post Office. Leading the renovation is Narthex, a Kansas City based real estate and leasing company, who specializes in restoring unique commercial properties. Plans for the updated facility include weddings, receptions, family reunions, fundraisers, community events, and special events for those throughout the Kansas City region. Fernanda Paiva, a Narthex partner, who specializes in space utilization and design, says she’s looking forward to the new facility becoming a beautiful attraction in Ottawa. Current plans for the new space include a 4,000-square foot luxury ballroom that can accommodate up to 300 guests, a 1930’s Speakeasy style bar and lounge, and suites for the bride and groom. Renovations for the historical post office are expected to end in April 2018. A memorable event begins with an unforgettable venue. Narthex specializes in transforming antiquated commercial properties into beautiful, modern spaces where congregations worship, couples wed, classmates reunite, entrepreneurs innovate, musicians perform, artists create, and businesses thrive. The Narthex network strives for quality that exceeds expectations including managing and maintaining all aspects of the venue. If you’re interested in The Historic Post Office as the destination for your upcoming special event, schedule a tour or request more information at info@historicpostoffice.com.